Address: 505 Glen Creek Dr.
7:30 PM - 11:30 PM Vince Reed Band Rides Again! Vince Reed Band We're back to the Port with some new things we've learned, bring your dancing shoes! 5:00 PM - 9:00 PM Rock n Reggae @Grills at the Port Jeff Marquis Rock n Reggae @Grills - Port Canaveral!! Boom Shaka! 7:30pm - 11:30pm **ROCKET CITY AT GRILLS IN THE PORT! ** Rocket City Your Saturday night is going to be on point over at Grills in the port! Beautiful venue, great food, and great live music!! 3:00 - 7:00 Banjoman Returns to Grills! Banjoman Franklin Sunday Funday in the Port! 6:00pm - 11:00pm Vince Reed Band Rides Again! Vince Reed Band It's going to be Crazy Good, You won't want to miss it, Come On Out & Play! 730 - 1130pm PANAMA @ GRILLS PORT Panama The party is always huge when PANAMA plays at Grills Port....dont miss it! 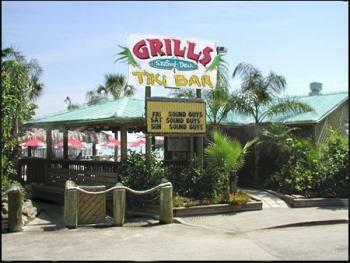 2:00 PM - 6:00 PM Rock n Reggae @Grills at the Port Jeff Marquis Rock n Reggae @Grills - Port Canaveral!! Boom Shaka!